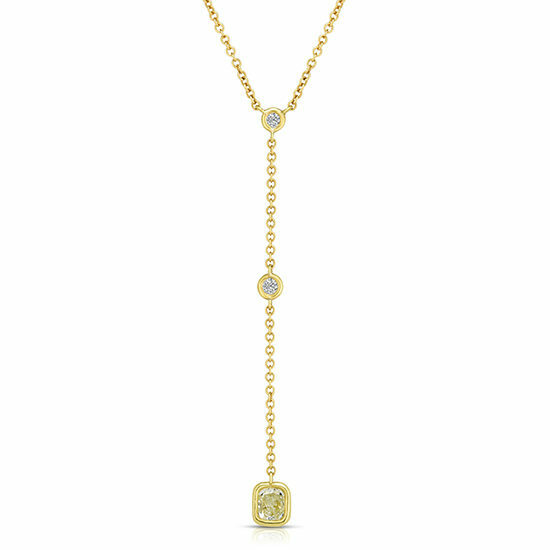 Enjoy this beautiful Diamond Drop Diamond Pendant featuring 2 bezel set 0.20 carat white Round Brilliant Cut Diamonds, with a 0.70 carat Fancy Yellow Cushion Cut Diamond tapering down the neckline. Shown in 18k yellow gold. Available for Special Order in any size, color and carat weight.